Rap is a genre of music popular with young people worldwide. It’s unique in the way it allows the singer to express himself almost like talking. Considering its popularity and the place of young people in the fight against HIV/AIDS, the U.S. Mission to Nigeria organized a rap contest for secondary schools in Abuja to commemorate this year’s World AIDS Day. The event was an exciting and fun way to talk about a serious issue. 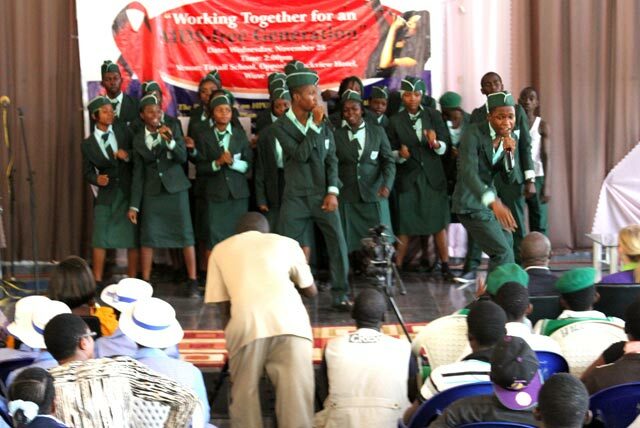 The students’ creativity was evident in the beautiful songs they composed incorporating key messages on HIV/AIDS. Young people have an important role to play in the control of HIV worldwide. According to UNAIDS they represent 40 percent of all new HIV infections, meaning 890,000 young people are infected every year, or nearly 2,500 every day. Unfortunately only 34 percent of youth have complete and accurate HIV knowledge, and less than half of young people living in 15 of the 25 countries with the highest HIV prevalence (including Nigeria) can correctly answer five basic questions about HIV and how it is contracted. Through song these young people can learn basic facts about the disease which they can go on to share with their peers. The theme for this year’s commemoration is “Working together for an AIDS free generation.” Speaking on this the U.S. 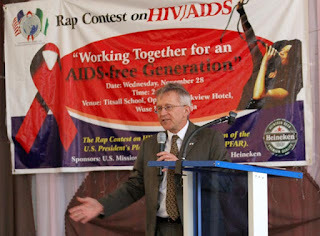 Ambassador to Nigeria Terence McCulley, who also served as a judge in the contest, said the struggle for an AIDS free generation is a true partnership involving everyone. He said an AIDS free generation is one in which no child is born with the virus, youth have a far lower risk of getting infected, and treatment is available to those infected. Sixteen secondary schools from Abuja participated in the competition and at the end Government Secondary School Gwarinpa emerged winner. While it was a fun filled program the message about HIV/AIDS and how youth can avoid getting infected has gone out and it is hoped that we will truly have an AIDS free generation. About 319, 0000 children orphaned by AIDS and other vulnerable children received care and support. Through song these young people can learn basic facts about the disease which they can go on to share with their peers.